Description: This odd shaped G.& J.W. Hawksley marked flask is show in Riling's flask book as #628 on page 321. A similar bodied flash with patent top is shown as #1349 on page 418. 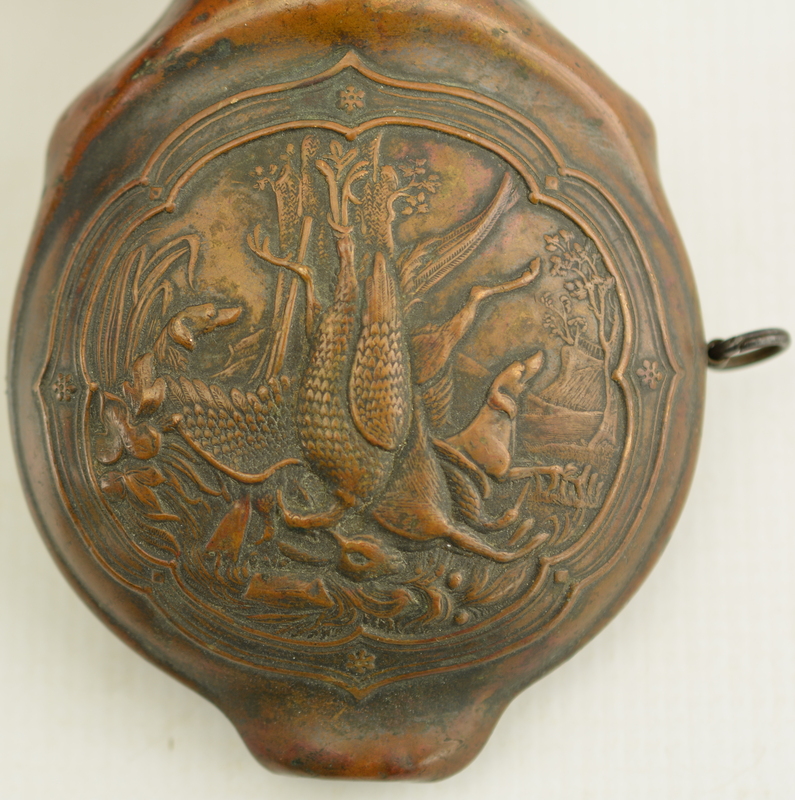 This flask has a belted panel depicting mixed hanging game guarded by two dogs. Flask has a lovely dark patina with minor dents in back and is missing one ring. Top works well with strong spring. 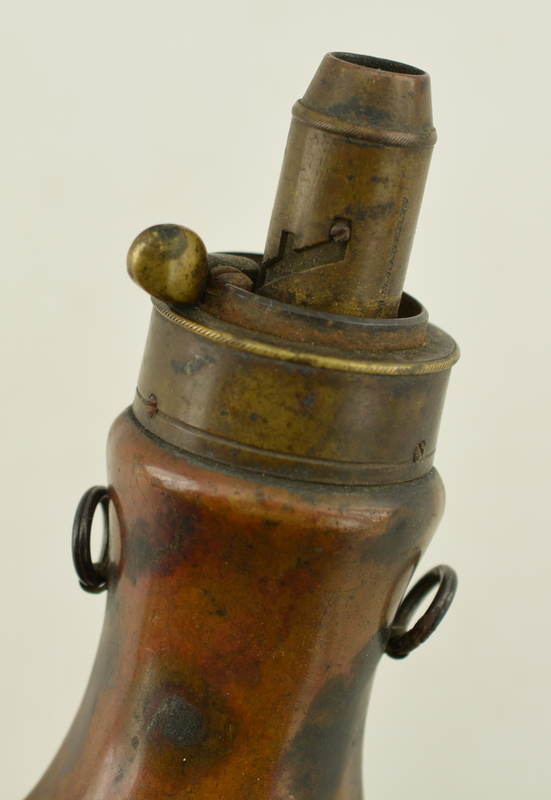 A scarce flask with unusual body shape.